Once again we welcome the distinguished oboist Sarah Francis for another of her brilliantly organised courses for wind ensembles and pianists, which she tutors with her illustrious colleagues, pianist Stephen Gutman, clarinettist Ian Mitchell and bassoonist Robert Codd. As usual we'll be exploring a wide range of repertoire including works such as Poulenc's Sextet, Saint-Saëns's Caprice for flute, oboe, clarinet and piano, and piano and wind quintets by Mozart and Beethoven. Pre-formed groups, with or without pianists, are encouraged to apply for this course, as are individual pianists and harpsichordists - but please note that there will be mixing and matching for everyone according to repertoire and standards. Pianists should be capable of playing works such as Beethoven's Piano and Wind Quintet with facility, and everyone who comes should be a good sightreader. Early booking is recommended for pianists because Sarah needs to discuss and settle repertoire with you by mid-September. 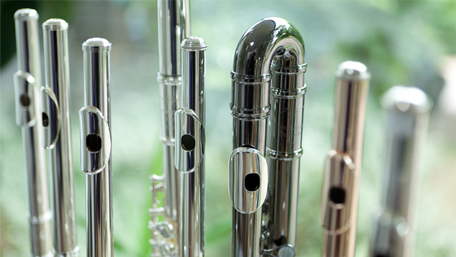 Because the course needs to be balanced as to participation and standard, woodwind players who apply individually will be carefully matched and incorporated. We ask for at least Grade 8 standard for this selective course, and whilst we do take deposits at the time of booking, in order to ensure optimum participation in the course we may not be able to confirm your place until the end of August.